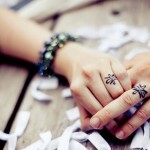 A wedding ring is a symbol of a bond between two people that love each other. 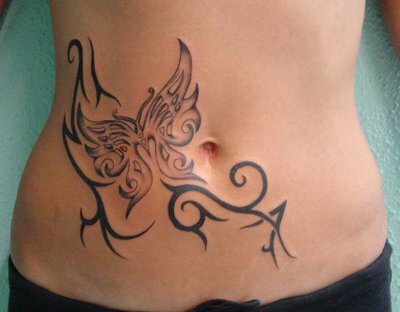 One of the latest trends in wedding world is a wedding ring tattoo. 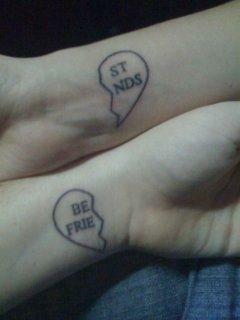 Many stars make these ring tattoos and they make tattoos with dates, names, initials and so on. 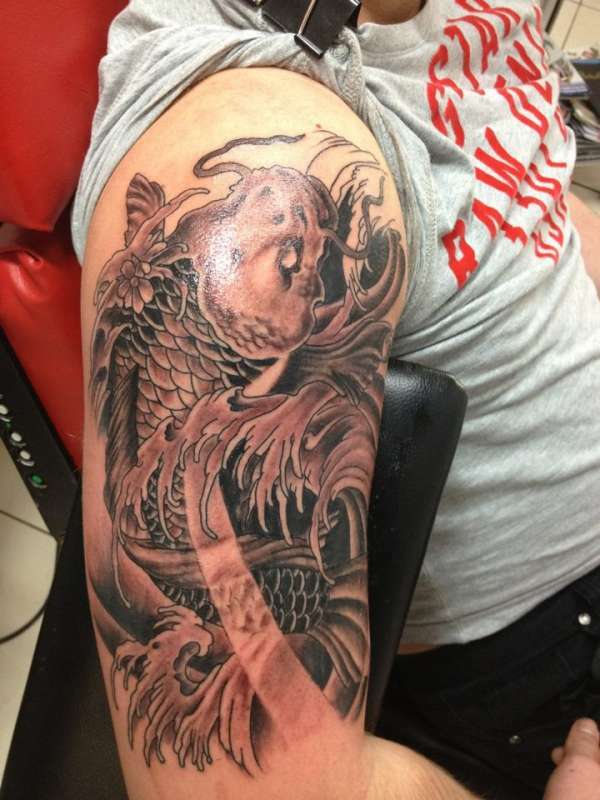 Wedding ring tattoos maybe having wedding rings tattooed on is extreme, but they will forever know that they are bound because if they want them removed then they will have to pay for laser removal. 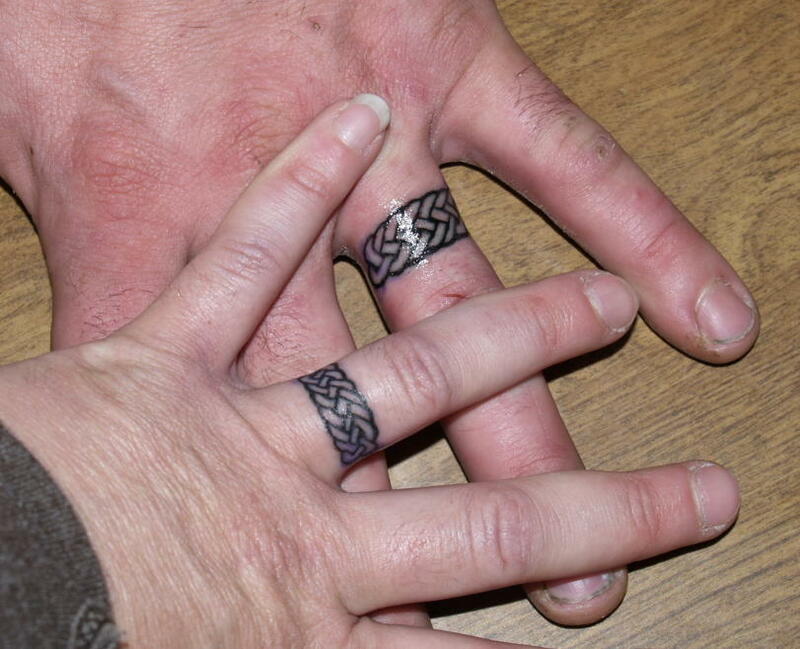 Tattooed rings are great way to show that you know how important the vows you are taking really are, and that you’re willing to accept any consequences that come with breaking them. 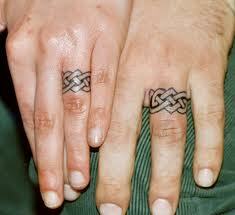 Tattooed ring finger might be a good option for newlyweds. 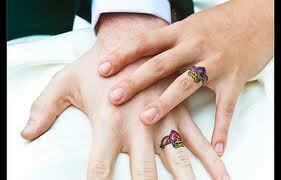 Wearing a wedding band can be difficult on a job and the gold and other mrtal rings can be allergic for skin. 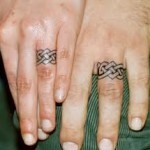 Many couples are taking the permanent ring tattoos which is a rising trend. 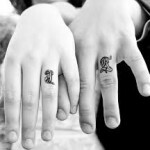 Wedding ring tattoos are much more appealing than spending thousands on traditional wedding bands and engagement rings. 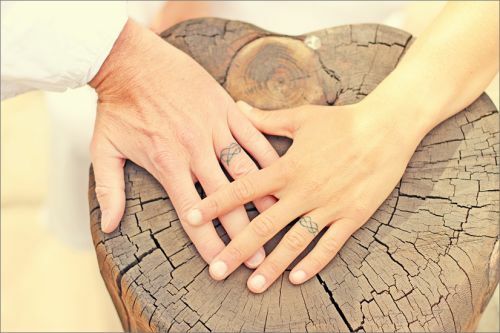 The prople who have inked their spouse’s name on their finger feel that the tattoo symbolizes the amount of trust in the relationship. 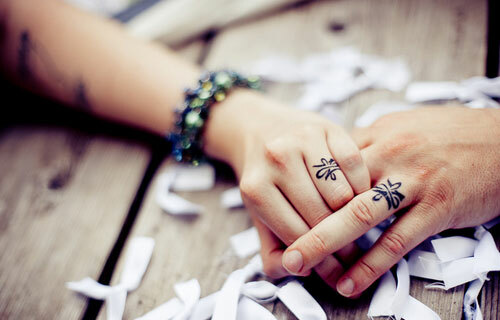 Wedding ring tattoos also symbolizes the amount of trust in the relationship as putting a tattoo shows the world the level of commitment in your relationship and generally makes a powerful statement. 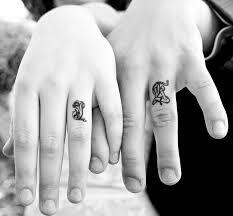 Wedding ring tattoos are also a romantic sign of commitment, and are the right choice for many couples. There is a plenty of variants of roman numbers or usual ones with your wedding date, initials of your spouse or the name, hearts and also pretty little symbols that mean something special for your couple.